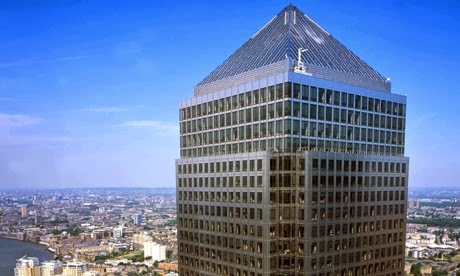 One Canada Square: A vision of the future? Kidbrooke Village will rise to a whopping 30 stories high under new proposals that could turn the area into a mini Canary Wharf. Under the plans, a 30 storey residential tower would be built in the village centre with a number of 20 storey towers built elsewhere on the site. This is double the height of existing plans and would be a bizarre sight in what is otherwise a very suburban area. It is also far higher than the original proposals for the site which were for a maximum of nine storey buildings. Under the new proposals, the number of properties on the site would also swell to over 5000. This is over 3000 more homes than were in the original Ferrier Estate. Greenwich Council are thought to be keen on the plans, as they would help the borough meet its housebuilding targets. Developers in London are also keen on high rise residential developments, with Far East investors also known to be keen. But can Kidbrooke really cope with such a high-density, high-rise development? Kidbrooke is very poorly served for infrastructure. Some limited upgrading of the existing station is already underway, but there are currently no plans to significantly expand public transport access to Kidbrooke. Indeed far from it, public transport access to Kidbrooke village has actually decreased in the past year, with local bus services cut because of the new development. Trains through Kidbrooke in peak hours are also jam-packed, with use of the station up almost 50% since 2005. And while Greenwich Council have suggested extending the DLR to the area, Transport for London currently has no plans to do so. All of which means that the new development would become heavily dependent on cars. With nearby roads already among some of the most congested in the country, these proposals could be storing up big problems for the future. The developers are consulting on their proposals on four days over the coming week. You can find out more at the information centre in the village.